A beginner's guide to the idiosyncratic musical universe of Hey-O-Hansen, this extensive archive trawl represents a best-of compilation of sorts for the Alpine dub duo. Helmut Erler and Michael Wolf are from Austria, with roots in Tyrolian folk music, yet their music has been infused with the hallmarks of ska, rocksteady and the speaker-assaulting temperament of Berlin's dub-infused techno scene. Hey-O-Hansen are one of the very few musical acts out there that you could genuinely charge with being unique, and this 15 year-spanning collection serves as a guided tour through their unprecedented musical canon. Chanson-style pieces like 'Sans Toi' remain classics of their very own genre, introducing accordion (and very possibly lederhosen) to the sort of sounds you might usually associate with Studio One. 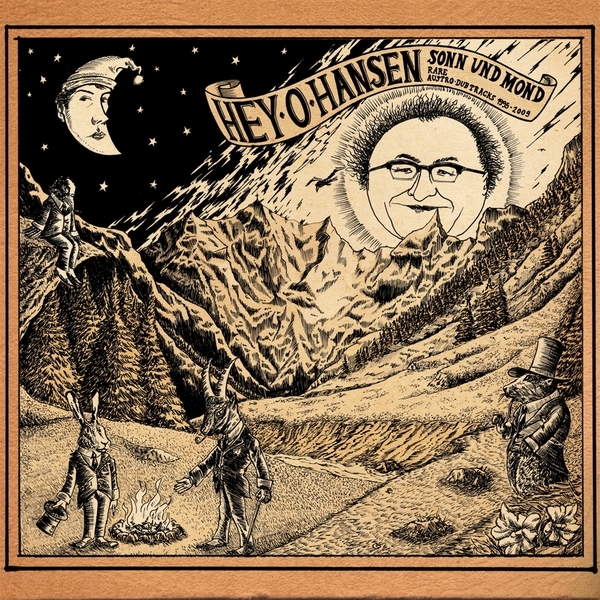 The production is mightily impressive for such a whimsical blend of genres and instruments, so there's never really any sort of comedic aspect to what Hey-O-Hansen do, despite the sort of culture clash imagery they inevitably conjure. 'Gone Away', 'Die Sonn Und Der Mond' and 'Rumble Version' all boast incredibly disciplined mixes, yet the Germanic folk influences are never too far away, adding buckets of charm and character to an already sonically potent blend.